DOWNLOAD: Nadjiwan - "Broken Treaty Blues"
We never know what Ojibwe/Finnish Marc Meriläinen's going to come up with next - the eclectic multi-instrumentalist has multiple projects that span electronic, atmospheric and rock. His latest single comes via Nadjiwan and we're stoked that "Broken Treaty Blues" is one to turn up, way up. 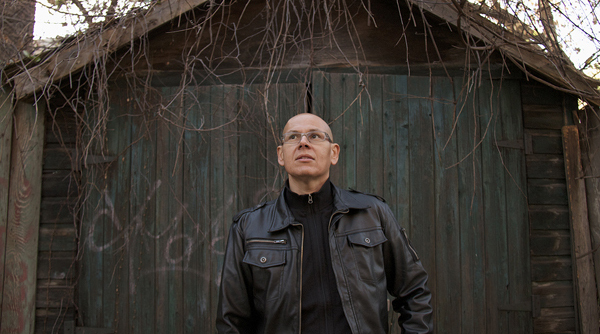 Written and recorded in one day in Meriläinen's own studio, he also performed all the instruments. A busy schedule has kept him from releasing more Nadjiwan material lately, but with the project's 20th anniversary coming up in 2015, this Nish Rock track is enough to keep us all in the loop and ready for more! Hit play, download, listen up and sing along.